The LPM solution from abaX Data delivers a framework and data platform for a predefined (education) business model - at the same time allowing flexibility for customisation. 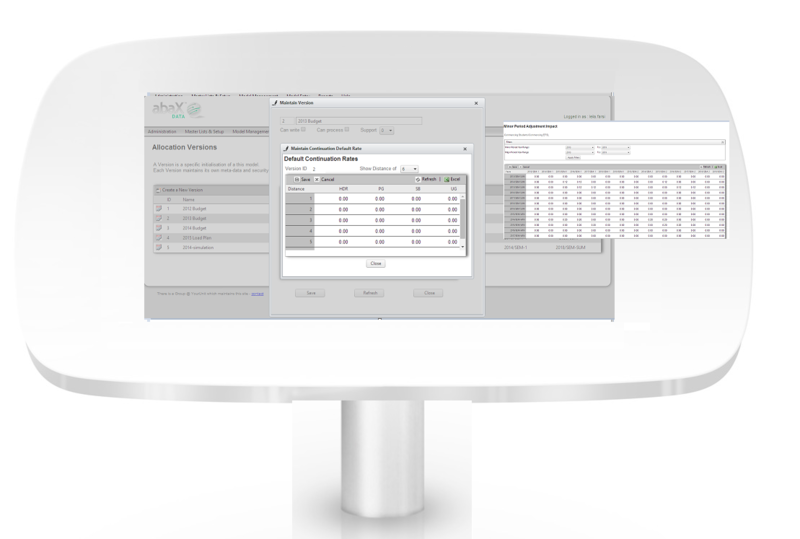 It provides an interactive environment for the management of users, master data, models, model versions and reports. Store different model types in a single platform which defines a broad method of how load is generated. Then define versions for the model (or a specific parameter set defining the model). This allows for easy scenario comparison and what-if planning. Create a collaborative environment which allows lines of business (usually faculties) to interact with their responsibility areas. Once data is entered, its available so there’s no need for the double handling and manipulation of data. 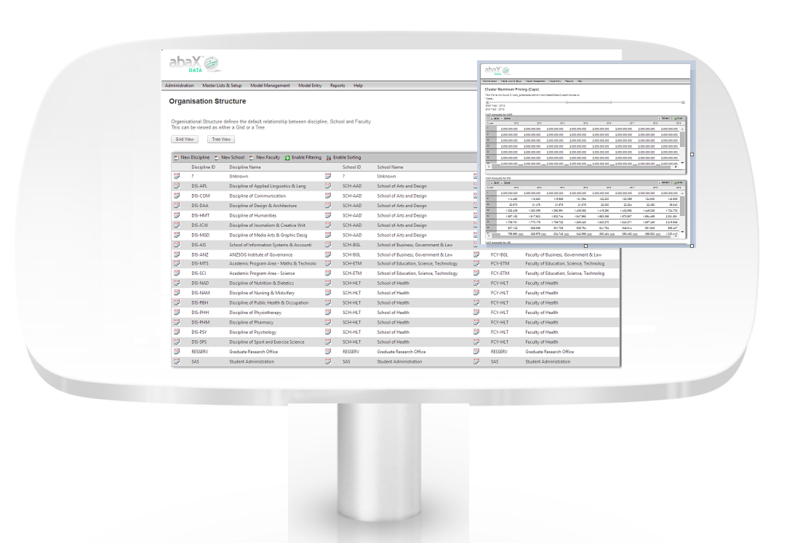 abaX LPM covers a variety of reporting options. Naturally, we have embeded reporting in the application for the creation, editing and management of reports. We also recognise that you have an existing investment in reporting and may want to use that. 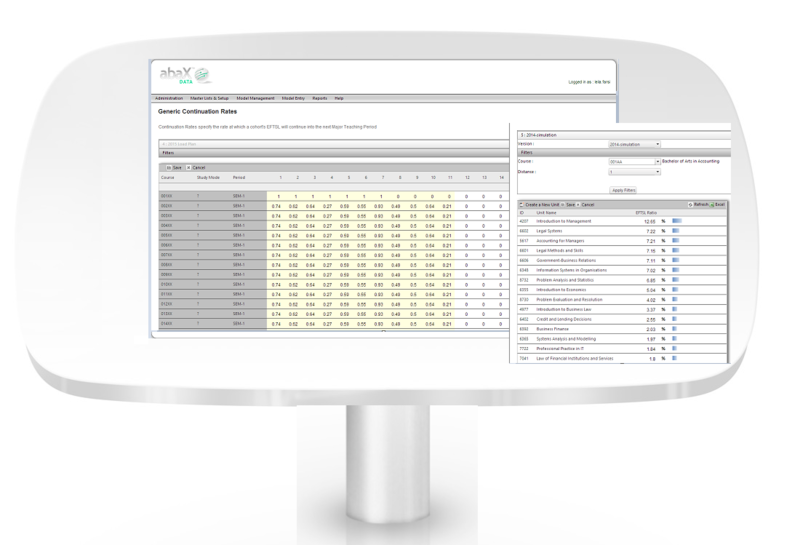 Our Web enabled delivery mechanism allows us to seamlessly integrate your existing reporting tools with our front end. There’s no need to learn another product and our data access layer allows you to write reports over any data structures in the application. 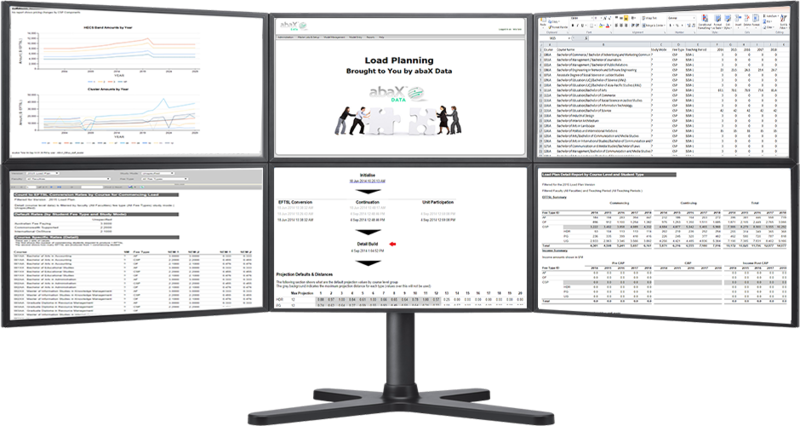 At abaX we’ve been putting together our clients successful load plans for years and have learned a lot in that time. We've found there are some common hurdles we all face and these findings drove the development of LPM. It gives you a range of outcomes to compare the impact of assumptions. Time spent on integrating data is wasted and provides no benefit to the your solution. All Data and models need to be sourced and stored in a consistent and robust platform. It's nice to think that simply automating a process will fix all - It won't. The plan is a process and involves different people, departments and process. & the solution needs to assist in document, process and collaboration management. "Paul and the abaX Data team’s approach to delivering a quality service to the University has been unparalleled. Their approach taken to first understand our business and then working one-on-one with our staff has allowed the University to seamlessly progress system developments to our load planning tool which had traditionally been problematic"
It's easy ... Drop us an email or reach us through our contact page. We are happy to discuss your planning process with you.